Ivy and her best friend Jinx may not be raking in the dough, but their psychic detective agency pays the bills—most of the time. Their only worry is the boredom of a slow day and the occasional crazy client—until a demon walks through their door. 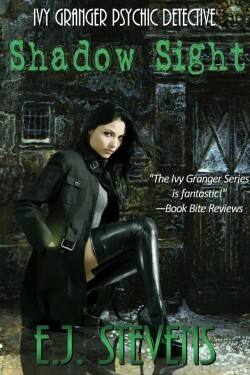 Shadow Sight is the first novel in the award-winning Ivy Granger Psychic Detective series by E.J. Stevens.